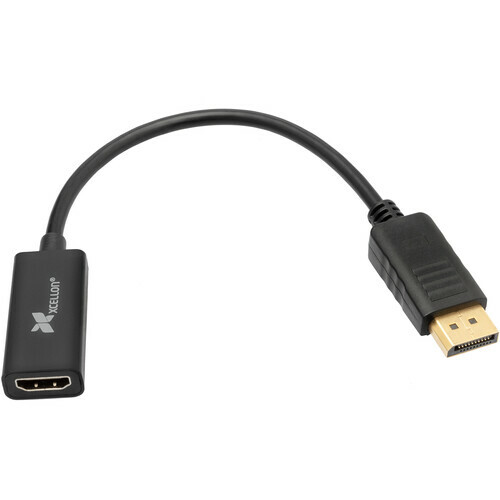 The Xcellon DisplayPort to HDMI Adapter is a simple device that allows you to connect an HDMI display to your DisplayPort-equipped system. It supports resolutions up 1920 x 1200 and is bus-powered, so no external power sources are required. Please note that since it has a female HDMI connection, you will need an additional cable.